The Pebble Time Round has been advertised on Pebble’s own website for some time, but, like us, you’re waiting for the time you can get your hands on it. Well, that day has come and gone, and the Pebble Time Round is now available in two of your favorite retail stores: Target and Best Buy. According to Pebble's own blog, "This Sunday marks the debut of the world's lightest and thinnest smartwatch at Best Buy and Target stores in the US, giving customers a chance to see and feel Pebble Time Round in-person. Pebble Time Round will also be available online at Amazon.com, BestBuy.com, Target.com, and Pebble.com." The Pebble Time Round comes with the same internals that you’ve come to expect from the Pebble Time, but now has a circular shape that gives something of a luxury appeal for those who want a watch for work, play, and show. As for the price, you’ll pay $249.99 for the watch (regardless of retailer). Pebble created the Pebble Time Round to react to the current smartwatch market trend where circular is the perfect shape. For many, the circular shape is reminiscent of traditional watches and looks as “non-geeky” as possible. For some, the circular shape appeals, but it doesn’t work for everyone. Circular smartwatches tend to see content “cut off” in mid-sentence, for example, while square smartwatches, looking a little more “geeky” than the rest, provide full viewing angles and screen real estate for viewing content. 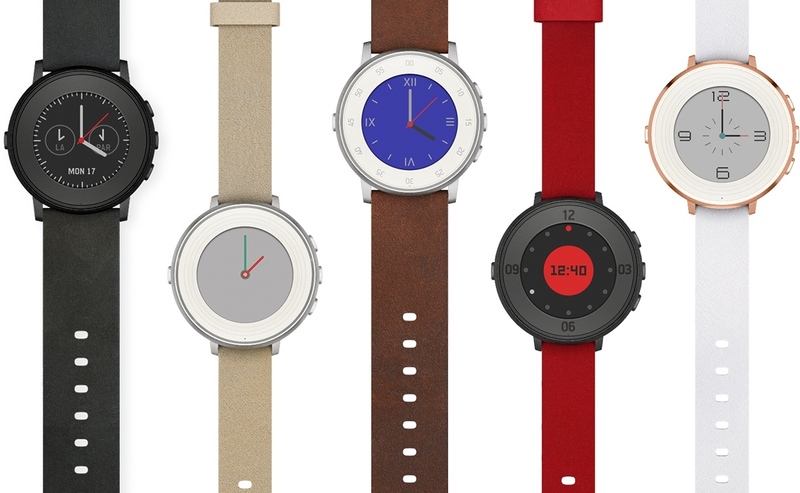 At the same time, however, Pebble is also fighting for customers – and the Round will have to go up against heavy-duty brand names such as Motorola (Moto 360, 2015 Edition), Samsung (Gear S2), LG (Watch Urbane), and Huawei (Huawei Watch), to name a few. The Pebble Time Round is much more affordable than the Huawei Watch (at $400), and slightly more affordable than the Samsung Gear S2 ($299 for the Gear S2 vs. $250 for the Round), so it’ll be a close call for those of you who love this market and love manufacturers across the board. The Pebble Time Round, as does the Pebble Time, will sport a color display as opposed to the E-Ink display of its predecessors. Before you pick up the Pebble Time Round, however, you have a few questions to ask of yourself: 1) whether or not you like round smartwatches or prefer square smartwatches, and 2) whether or not you’re willing to give it a try. If you are, then head out to your local Best Buy or Target and get your smartwatch.